Make your next home event a night to remember! Give your friends and colleagues the joy of an evening of music that inspires and transports them to another dimension. Ms. Worrell offers an intimate program of some of the most beautiful music in the world that you can share with your friends and colleagues in the comfort of your own home. 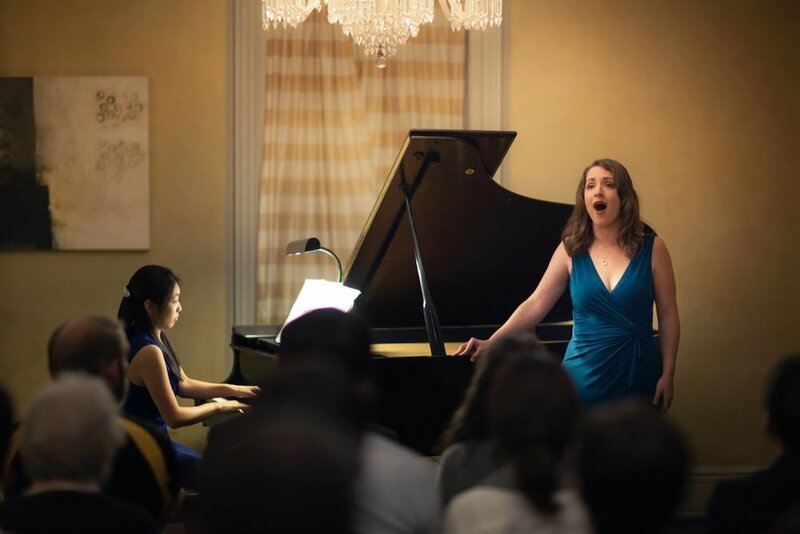 Ms. Worrell specializes in performing house concerts that feature intimate and engaging classical art songs and arias. She also offers repertoire from the American Songbook and legit Musical Theater tradition. At each performance, delightful anecdotes and musical history behind the songs and arias are spun into the program: think hip program notes that you don't have to read – we make it easy for you to relax and enjoy the evening. Each program is unique and is specially crafted for you and your party theme. Bring the magic of a tailor-made vocal concert to your home! Interested in booking Ms. Worrell for a house concert? If you have questions, would like to discuss unique programming for your next home event, or would like to request a quote for a house concert, please reach out directly to Ms. Worrell using the form below. Thank you for your message regarding Ms. Worrell’s special House Concerts. Ms. Worrell will be in touch soon.